Improvisational duo is what I call the music of DST, consisting of Simone Di Benedetto on double bass and Alberto Collodel on clarinet. Il Sistema Periodico (Aut) is an album that is light and mellow and yet each song sounds like it could be on the verge of collapsing onto itself to become a powerful rage, but it’s not. Everything is smooth but is far from being smooth jazz, it’s nothing more than two gentlemen talking about life musically through the metaphor of the Periodic Table, speaking about different things through the elements. There’s a Pink Floyd lyric about “a creeping malaise” and the vibe of that phrase is covered through this album but it’s creeping in the other sense, as in a slow pace, not something that is crawling up your back uncontrollably. When I hear duet albums, it’s interesting to figure out what were their goals in making the album and I think Il Sistema Periodico explores beauty through sound, step by step at a leisurely pace. A part of me would love to ehar this done faster or with more musicians than just Collodel and di Benedetto but I like taking what they offer and allowing listeners to interpret where they’re heading to. If only learning about the elements sounded this moving back in elementary school. Frantic or frenetic? On Naca (Aut), the music of Tony Cattano is a bit of both but with something extra. Italian jazz is an entity onto itself and this form of jazz is on the free side, where Cattano (trombone), Andrea Melani (drums), Matteo Anelli (bass), and Emanuele Parrini (violin) seem to be going wherever they want but there is a level of consistency where what they’re doing is not scatterbrain. The album’s opening track (“Fior di Conio”) is the basis of the album, building and developing itself while the colors and shapes are forming continuously, unsure of where it goes but one follows and see what happens. Then the album gets locked in places but is able to travel, whether it’s in a bit of a strut as they do in “Il Salto del Pachiderma” or fall off the edge of the world in “Impro”. There’s form in what Cattano does but the basis of Naca is trying to listen to where things fall out of form or whether it will drift off into a place unknown. What I also like are some of the folk-ish elements, or perhaps it’s more cultural but throughout, you’re able to tell where they’re from and why they play this way, all while staying true to what jazz means. This album was in the pile of discs to review but as I was listening to it and really getting into the power of rock on this, I looked to find out when it was released: February 2015. I thought to myself “was this meant for review two years after the fact or was it something merely to listen to?” I then kept on listening and try to figure out what to do later. The Fireworks are a British band and the muse of Switch Me On (Shelflife) sounds British too, at least musically. It reminds me of all of the great punk and alterna-rock of the late 70’s, 80’s, and 90’s, where I’m able to hear the influences but also able to share what these new bands are doing. The group alternates between male and female vocals to help balance the vibe The Fireworks are trying to do, whether it’s something that has a lot of charm and melody or if it totally rips into the gut without regret. The power and volume of the bass and guitar may come off as loud and vulgar but the songs tell a different tale, one of love found and a need to keep it together for everyone around. It reminds of me what Sleater-Kinney or Hüsker Dü were and are capable of doing, making sure to provide a music that’s a nice punch in a face but one that is followed with a warm hug. Maybe for some people, saying “Portland jazz” may sound like an oxymoron but Portland has a long and diverse history with jazz, back in the days when parts of the city proudly called itself “Jump Town”. A few decades of gentrification later, jazz may not be as widespread as it used to be but you’re able to hear how strong it is on this new album by saxophonist Ian Christensen. Finding (PJCE) is an album primarily consisting of Christensen’s compositions, with a few tracks coming courtesy of bandmates Ryan Meagher (who offers two tracks, including the delicious “Worn Luster”) and Andrew Jones (including the album’s closer, “Cattywampus”). 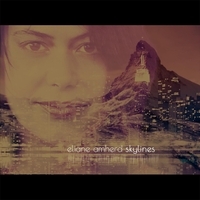 At first, I was expecting the music to be along the lines of ECM Records but this is more bebop, at least to my ears. When I come into Portland a few times a year, I always make sure to turn the radio to the left of the dial to find some jazz and I’d probably find some powerful sounds from Christensen along the way. Everything on Finding is acoustic, so no synthesized or far-out grooves, it’s the kind of music you’d expect to hear in a club or church at 2:47 in the morning when you’re unable to find any food carts still open. It respects the legacy of jazz and it honors the legacy of Portland jazz that may have been hushed somewhat but not completely muted. 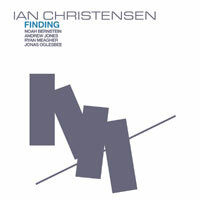 Finding is an album that looks for the lost and discovers something quite remarkable. The last time I heard from Jim Of Seattle, I compared them to the likes of Brian Wilson, Todd Rundgren, and Prince for their diversity and eclectic side. 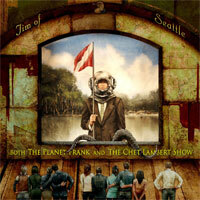 Eclecticness is still present on Both The Planet Frank And The Chet Lambert Show (Green Monkey) but now they’re getting in contact with Devo and Frank Zappa, the former quite present when they do a cover of “Whip It” but they also get into Jimmy Webb’s realm with a nice rendition of “Wichita Lineman”. The album is divided in two halves, the eclectic side working as a radio show (The Elders Live From The Planet Frank) and a far more trippy side on the “other” (The Chet Lambert Show), both not coinciding with one another and yet somehow the differences fit perfectly. It plays along well with The Turtles Meet The Battle Of The Bands but they are (ahem) playing with themselves for an order to dominate their practice sheds. In other words, Jim Of Seattle are doing very well stuck in their own world and they’re more than happy to welcome others in for fun and musical joy. Is this alternative, indie pop, or indie rock? 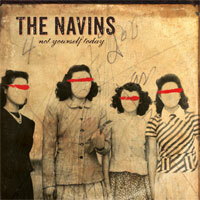 In truth, Not Yourself Today (Green Monkey” by The Navins is all of the above and then some. It’s an incredibly tight album with great musicianship and songs that are worth paying attention to so you can remember the verses and chorus as a means to recommend it to everyone. A lot of their songs reminds me of the same power Evan Dando had with The Lemonheads, due to the strength of Cain Morehead and forget regionality: the music here not only represents Seattle but wholesome American alterna-rock, all without fitting in a lot of worn-out cliches. One of the bvest tracks, “What You Do”, is the most gentle of the bunch and could easily be getting a lot of airplay if airplay still mattered these days. Make it matter. It has been awhile since Kristin Hersh has been heard but along with Bernard Georges and Robert Ahlers, they are a unit called 50FootWave, whose new EP shows she is far from tired and ready to unleash her flavor of rock she is known for. Bath White (Happy Happy Birthday To Me) consists of a set of gutsy music that immediately will make you want to see them live but for the time being, you’ll want to put this music in your car, raise up the devil horns and salute greatness. I’m always ready to hear some fine guitar-based rock and with tight basslines and solid drums, this is something that shouldn’t be viewed as a look back at music of the past but very much modern day music that deserves to be heard and celebrated. If you were or still are a fan of Throwing Muses, you will highly enjoy the continuation of Hersh’s musical path, joined by old bandmate Georges and powerful drummer Ahlers. Their music is worth more than just this EP, see them if they perform near you. 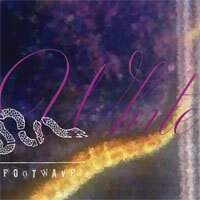 If you’ve been waiting for new sounds from 50FootWave, welcome them back. Call it what you want: alternative, indie rock, post-grunge, pop punk but Burnseer are a power trio who simply make some damn music and if they sound like anything I described, it’s because they are that good and it comes from experience. On their self-titled debut for Green Monkey records, Frankie G., Eric Norberg, and Norman Scott play the kind of solid rock that I sometimes miss when it was everywhere, a bit like a cross between Belly, L7, and The Lemonheads. You have strong vocals from Frankie G. and then they decide to bring in guitarist Kurt Bloch for a bit of nice assistance. It’s music that sounds like it was meant to be, and what I meant is meant to be whatever you want. Meant to be heard, meant to be strong, meant to be loud, meant to be powerful, it’s all of that and more. Some songs are full of solid rage while others mix up hints of pop to make it (more) appealing but throughout the peaks and valleys, Burnseer are a group who do this with such passion that it makes me wish this lady and gentlemen were one of the biggest bands in the land. Burnseer are meant to be now and they are.